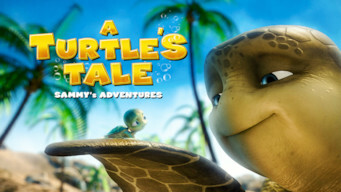 How to watch A Turtle's Tale: Sammy's Adventures (2010) on Netflix Norway! Yes, A Turtle's Tale: Sammy's Adventures is now available on Norwegian Netflix. It arrived for online streaming on April 14, 2019. We'll keep checking Netflix Norway for A Turtle's Tale: Sammy's Adventures, and this page will be updated with any changes. Sammy, a sea turtle, leaves the beach and spends the next 50 years exploring the world's oceans, all while trying to find his first love. Pursued by predators. Hindered by humans. A young sea turtle finds love and friendship on his epic journey home.